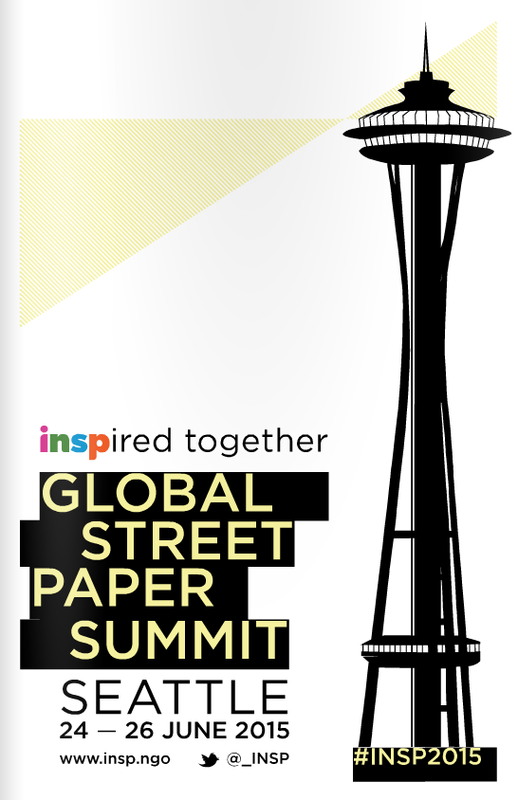 On June 24-26, Seattle University hosted the Global Street Paper Summit. This annual conference put on by the International Network of Street Papers brings together hundreds of representatives from street papers all over the world to engage in networking, discussion, and education. 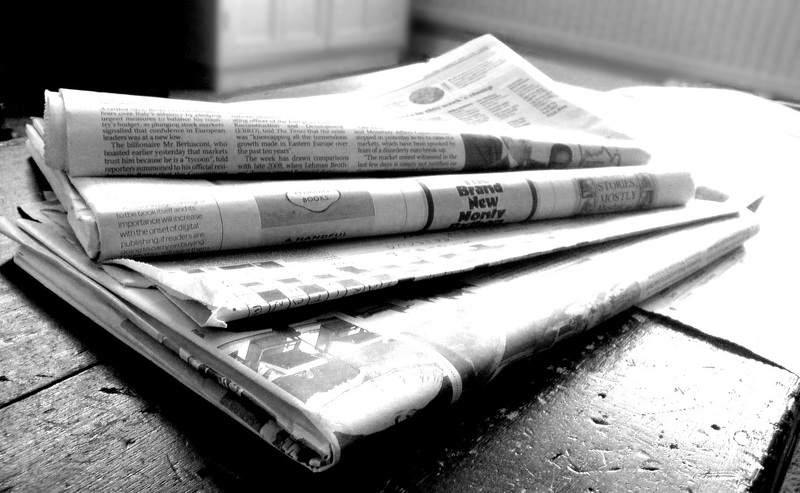 Street papers are publications that serve two purposes: to spread awareness about poverty-related issues as well as provide employment for people experiencing homelessness. The conference serves as a way for people engaged in this important work to meet, share, and learn from one another. This was the first time the conference has ever been held in the US. The School of Theology and Ministry welcomed participants and facilitated workshops throughout the week. The workshops covered everything from programs developed to serve Seattle’s homeless population to low cost marketing strategies to utilizing social media. 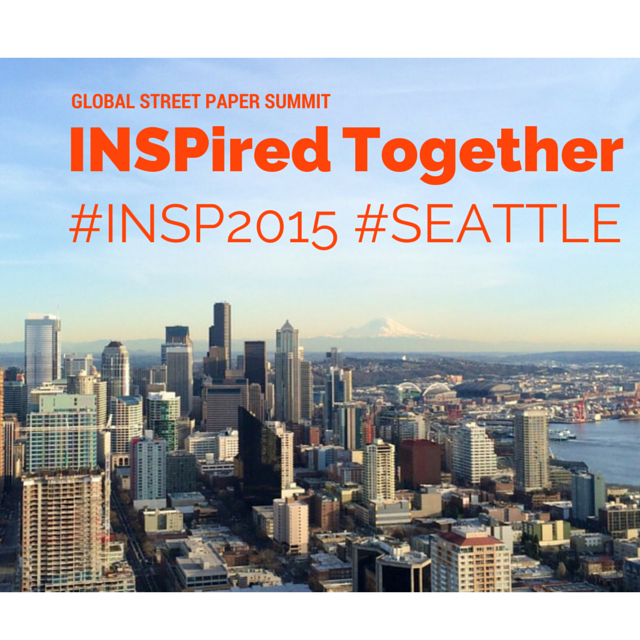 It is a great honor to have you with us this week on the campus of Seattle University, for the first-ever INSP summit in the United States. I hope you are getting a chance to walk around our beautiful campus, spend a little time outside in the sun, and maybe explore the city or take a ride on a ferry. You may have heard that we get a little rain in Seattle sometimes. While that is a bit of a caricature, it doesn’t always look like this in Seattle at this time of the year, and when the sun comes out like this, Seattleites emerge from their homes and buildings like moles leaving their holes, squinting at the bright light in the sky. In case you haven’t felt it, yet, you are meeting on the campus of a Jesuit university that is a kindred spirit with the visions and missions of your newspapers. Within Roman Catholicism, the Jesuit tradition has two distinctive qualities – a commitment to the intellectual life, and a dedication and passion for educating future leaders to work for peace and justice, whether the motivation of that work is from a faith-based perspective or not. From the university’s engagement with poorer neighborhoods around the university through the Seattle University Youth Initiative, to our equally creative engagement with coffee growers in Nicaragua and the Jesuit university located in Managua, to the countless student internships and immersion experiences that are occurring throughout the city, the state, the nation, and many countries in the world: we are a university that tries every day to live up to our mission to focus our intellectual resources on the promotion of activities that will lead to a more just and humane world. In the past few years we have had an exciting and dramatic university effort to respond to the realities of homelessness, especially family homelessness in the Pacific Northwest. In the true Jesuit tradition of the Italian Renaissance, which promoted the fine art of rhetoric and persuasion: we want to persuade everyone we can that it is unacceptable to have fellow humans beings living lives of quiet desperation, particularly in a city with the educational and industrial achievements and unprecedented levels of wealth as this one. As you heard this morning from Dean David Powers, our communications department in the College of Arts and Sciences has engaged the journalism profession directly on the issue of family homelessness. My own School of Theology and Ministry began a faith and family homelessness initiative four years ago, due to the generosity of the Gates Foundation. In the past few years we’ve had a team of people from the school logging hundreds of hours as they have worked across the region to assist religious congregations and organizations in the deepening of their faith communities’ commitment to alleviating homelessness. Our primary effort began by working intimately with 14 Jewish, Muslim and Christian congregations, assisting their more than 18,000 congregants to organize their own community efforts to reduce the number of families living in shelters or on the streets. In the process, we’ve also created a near educational cottage industry with a “poverty immersion workshop.” After getting featured in an Op-Ed in the Seattle Times, this workshop, which allows people to have a life-like experiential encounter with the frustrations and burdens of poverty and homelessness in the United States, became our school’s most popular extra-curricular activity, with hundreds participating across the region. We’ve had some remarkable results in this effort, and have in some ways had an opportunity to change the conversation about the potential of faith communities to move society’s needle on this complicated social problem. If you are interested in this effort to “breathe” the importance of working to end family homelessness into the Seattle area’s religiously plural population, you can talk to Lisa Gustaveson, the program manager for our school’s efforts. Lastly, let me applaud you for the way you are spending your life as journalists of street newspapers. As a former journalist, with a degree from the University of Missouri-Columbia School of Journalism, I think street papers are one of the most important evolutions in news reporting. When you look at journalism as a field, most people miss that the industry is not a dispassionate organization in search of the truth. It is a business, and often a complex one, requiring a substantial cash flow that requires all kinds of compromises between corporate and journalistic values. The larger media outlets have to dance to the tune of many pipers, and this can mute, if not extinguish, the deepest nobility in the profession of the Fourth Estate. Your newspapers stand squarely in the tradition of the power of the pen to give voice to those who are not allowed a place setting at the world’s table. By nature of your missions, you stand with the populations in your cities and nations that have no discernable voice in the fast-paced, competitive and chaotic world of the third decade of the 21st century. In doing so, you breathe into you societies a truth about an issue many contemporary people do not want to explore, let alone understand, let alone change. You go beyond good journalistic ethics to pursue the truth: you live, and move and have your being in the unsavory truths of modern societies, where poverty and homeless and marginalization exist in the shadows of unprecedented human wealth and privilege. Many of you represent the best in the tradition of the Progressive Era’s muckrakers, and the best of the tradition of a Charles Dickens, who gave voice and image and feeling to the lives of the poor of their era, or Rachel Carson, who convinced her generation to ban the pesticide DDT and create the Environmental Protection Agency, which made her one of the first people to capture the imagination of westerners around the issue of the environment. Carson gave voice and image and feeling to nature, to our Mother Earth. You, too, are giving voice and image and feeling to the lives of the poor and homeless. Keep up the good work. We are delighted to have you here and I hope and pray you find new ways to collaborate with each other on your “inspir-ed” mission and vocation. Read more about the summit on the school’s website, here.